What’s wrong with the County publishing regulations that include design standards? First of all, the government’s powers are limited for good reason. Citizens of Bryan County, Georgia, and the United States enjoy broad constitutional property rights. The government can take, deprive or diminish those rights only for very limited purposes – namely, the health, safety and welfare of Bryan County. If regulations are not rationally related to these goals, then the government should stay out of your business and off of your property. Second, unless clearly and reasonably related to health, safety or welfare, the government should not discriminate against property uses or users, and the government should not take or infringe property rights without justification, due process or compensation. In this case, the government is taking away valuable fundamental property rights, including the right to build a good and safe house according to the owner’s specifications (and industry standards). There is no basis for this taking and no compensation offered for same. What development ordinance restrictions are you talking about in particular? The Ordinance (i) restricts building materials that are otherwise permitted under the International Building Code (e.g., vinyl siding and the use of more than two different materials on the front of a residence), (ii) promulgates architectural restrictions that increase the building costs without any benefit whatsoever to public health and welfare (e.g., requiring four roof planes to be visible from the front property line and restricting garages to less than 50% of the house façade), and (iii) places unreasonable restrictions on apartments (e.g., restrictions against more than 6 units in a single building and requirements that apartments must have private gardens, yards, patios or balconies), among other indefensible restrictions. These regulations have the effect of increasing home construction costs for the builder and the buyer, which makes home ownership more difficult (or unachievable) for moderate income citizens, without any reasonable justification related to public health, safety, morality or general welfare. What’s wrong with assessing Impact Fees to pay for road and traffic repairs and improvements? The critical problem with the Development Impact Fee Ordinance (DIFO) is that there is an insufficient nexus between the projected growth in Bryan County and the fees to be assessed against new permittees, including, in particular, homebuilders and home buyers. Impact Fees cannot be used to remedy already existing problems, such as lack of capacity on roadways. Instead, impact fees must be used to pay a proportionate share of the cost of system improvements needed to serve new growth and development. Although the County’s projections predict a 29% increase in the population by year 2030 (or a 10,000 person growth between 2020 and 2030), for purposes of the new ordinance, the County predicts an 80% increase in traffic in Bryan County during the same period owing to persons who do not live in Bryan County today. More particularly, the County projects an increase from 11,000 vehicles per day (VPD) to 57,000 VPD. The Capital Improvements Element (CIE) provides no source documentation for these increased traffic numbers. Rather, according to the Transportation CIE, “virtually all roadways and intersections in South Bryan County classified at or below the minimal service levels” already existing in 2015, three years prior to the DIFO passed on January 8, 2019. The real question is whether a residential permittee’s fair share of the roadway improvements associated with a new house is $3,128; whether a grocery owner’s fair share associated with a new supermarket is $630,000; whether Chick-Fil-A’s fair share associated with the new fast food restaurant is $310,000; and so on. (See the Impact Fee Calculation Schedule for other uses and fees.) In our estimation, most, if not all, of these fees exceed the permittee’s fair share of the cost associated with the new or improved roadways that are necessary to serve the new development. As noted above, the projected 29% population increase does not comport with the 80% traffic increase necessary to justify these numbers. Bryan County says that it afforded the HBA plenty of opportunities to participate in meetings and committees regarding the new ordinances before their passage. That is not true. Bryan County did not afford the HBA time or opportunities to participate in meetings or discus-sions regarding these ordinances. If they had, the HBA would have been actively involved in the pro-cess. 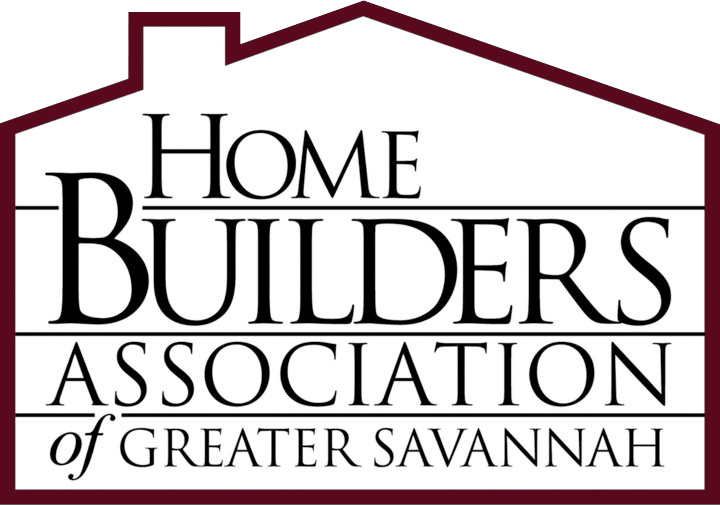 Moreover, once published for consideration and commentary, the County did not allow HBA Members to participate on committees that were intended to represent their industry, notwithstanding commitments to do so and emails, phone calls and other correspondence from the HBA to the County recommending members for participation. Are you accusing Bryan County of intentionally discriminating against certain classes of persons? The Commissioners can speak for themselves regarding their intentions. At least one Commissioner has already made plain his view that Bryan County is like an exclusive club, where members should pay to play. 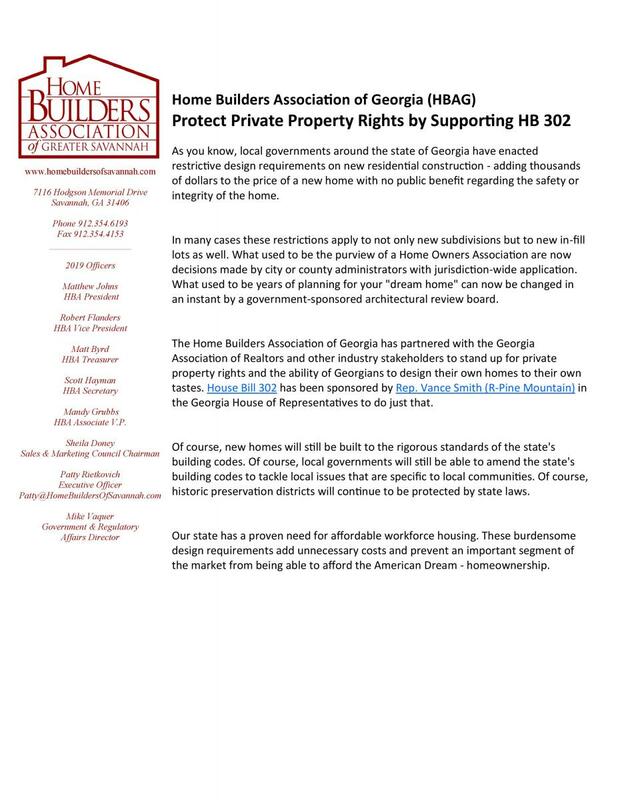 The HBA is not prepared to speak for all of the Commissioners, however, we would note that, whatever their intentions, the impact of the ordinance is the same – it unfairly and unnecessarily excludes certain persons and housing products from the market without any justification related to health, safety or welfare whatsoever. The County should not be in the business of writing or enforcing design and architectural standards. That is not their exper-tise or their mandate. Their powers are limited to promoting and protecting health, safety and welfare. When they exceed their mandate, they take away the rights of citizens and start down a slippery slope that encroaches on our freedoms.